The agreement was signed yesterday in Vientiane between company President Mr Sithong Phommachith and CEO of APMLAO Mr Somphob Sakpunpanom. Speaking at the event, Mr Sithong Phommachith said the company, which runs a construction business in Laos, plans to raise funds from the stock market through an Initial Public Offering (IPO) to expand its operations amid strong growth in the industry. The funds raised will also serve as working capital. 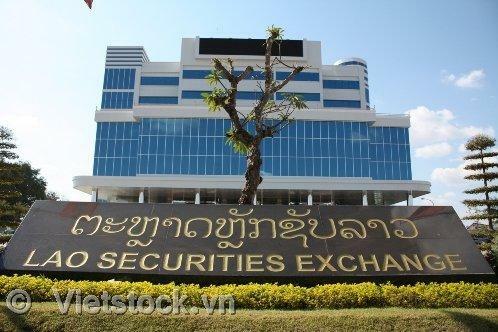 The company has appointed the APMLAO Securities Company as financial advisor in relation to its business and financial operations and to improve its accounting system and business plan for IPO. 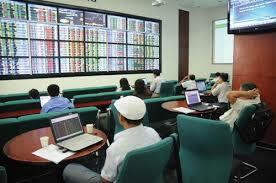 It is anticipated that engaging APMLAO will provide further opportunities for business competitiveness. At present, Phousy Road and Bridge Construction Co., Ltd. has many projects underway such as building a road along the Mekong River in Luang Prabang province at a cost of US$43 million, another road construction project in Luang Prabang province at a cost of US$10 million, and a road building project along the Laos-Cambodia border in Attapeu province at a cost of US$60 million. The company also has another road construction project in Luang Prabang province worth US$30 million and an embankment project along the Mekong River at a cost of US$70 million. It is also undertaking the renovation and expansion of the airport in Bokeo province at a cost of US$30 million in 2016. Phousy Group Sole Co., Ltd. operates in the main areas of construction, including both road construction and embankment building. Revenue from its construction businesses accounts for 80 percent of total income. The company has also been awarded a 30-year concession on two dams that are currently under construction, with commercial operation expected to begin in 2019. The group of companies also operates gas stations under the trademark “PLP”, providing fuel at some 40 stations. It has recorded average sales of 4-5 million litres per month. 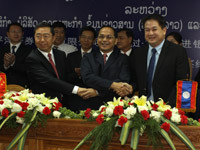 In addition, the group of companies is involved in the mining industry,” Mr Sithong said. 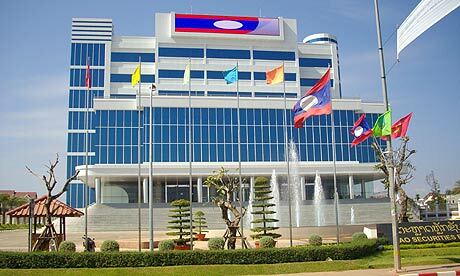 CEO of APMLAO Mr Somphob Sakpunpanom said the company has strong potential for growth due to its new generation of executives. 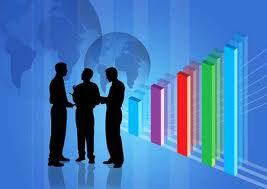 The company was established in 1995 and passed from father to son over the past 20 years. 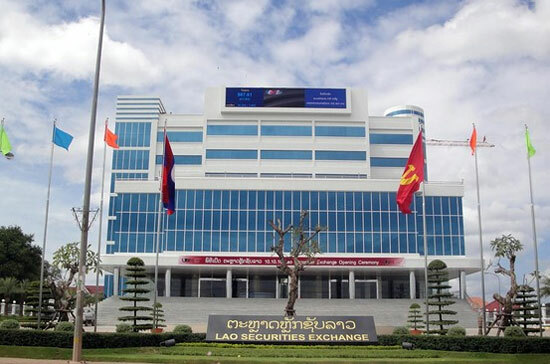 “APMLAO will help the business with its financial restructuring in order to source funds for business expansion and list on the LSX, Mr Somphob said. “Eventually, the company is expected to submit filings to raise funds on the bourse in 2016 in order to fund its business expansion in the future,” he added.